Having a hard time pushing the plates and kettle away to make room for the chopping board and ingredients every time you prepare dinner? You might have heard of using lazy susan to access hard to reach corners in shelves or using desk organizers to create a tidy storage in the fridge. Yes, it doesn’t always take a major overhaul or moving into an expensive bigger apartment to have a comfortable kitchen. Here’re a couple of ingenious hacks I’ve got up my sleeves. The essence of creating more working space is to tap on underutilized places, like the wall. But of course, if your apartment is rented, it’s best to leave the walls alone. You might be better off utilizing an external storage facility, instead of giving your deposit away to the landlord, or worst, land yourself in an annoying lawsuit over drilling holes in the walls. Let’s assume you own the apartment. 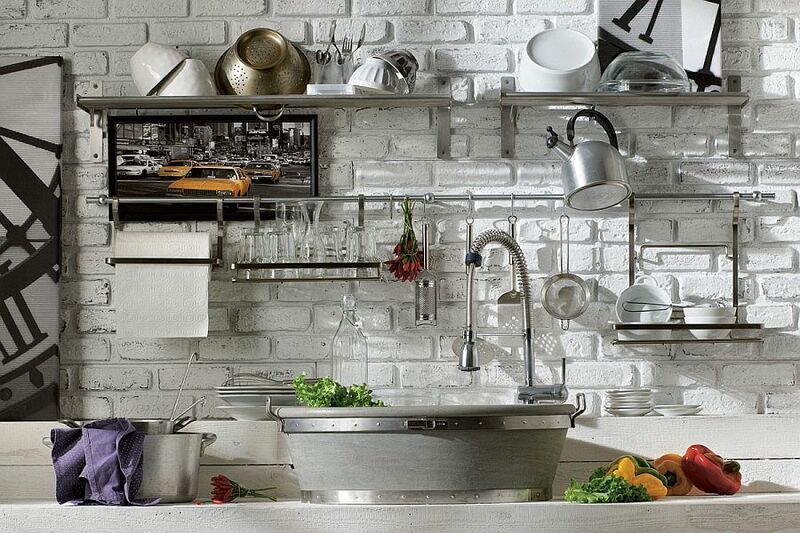 You can consider mounting magnetic knife strip and attach metal hanging racks to keep things off the benchtop. Let’s assume again that the door hinge is sturdy and that the door isn’t made of some antique wood (where you should be unscrewing and selling it to an antique collector instead), the back of the door works brilliantly well for storage. Add on an over-the-door organizer and you’re ready to go. This is my favourite. If there’s a small gap next to your fridge, you’ll love this. Build a roll out pantry to maximize space in an impressive way. It’s really easy to keep track of the sauces when you can see them at a glance. I am sure I am not the only one keeping sauces well past expiration dates because they are hidden far too deep in the cabinet. This could go on and on. Here’s a YouTube video of 50+ more kitchen storage ideas that would take another 10,000 words to cover in text, so I shan’t make life any tougher for my readers. Thank you for reading!